Judicious diversification is the key to success in investing. Judicious diversification is the key to success in investing. In line with this investing philosophy, there has been a rising trend of investing overseas. The underlying idea is that it will result into high returns and more diversification. The rapidly growing stock markets in the emerging countries, offers the investors wonderful opportunities to build their wealth. Investing globally help you derive the benefits from strong performances in multiple markets. 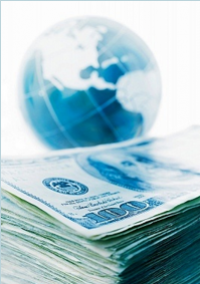 International investing avenues available to an American investors include the following. Mutual funds that purchases foreign securities. Closed-ended funds that purchases foreign securities. International exchange traded funds (ETFs). Purchasing American Depository Receipts (ADRs) (ADRs are the shares of the foreign companies trading on US exchanges). Purchasing the shares of the American companies having foreign exposure. International investing is a very broad area and it covers the entire world. But, while investing in the overseas market, you have to be aware of certain things. Here is the list of things that you should be aware of. US boasts of having the world's largest stock market. However, this does not necessarily guarantee that the US stocks will always outperform other stocks. In fact there are a large number of other markets, spread across the whole world, which may fetch better returns than the US markets. If you are focusing on a particular country, you may miss the chance to invest in the high-yielding overseas market that can provide you healthy returns. There is a common misconception that investing in the overseas market is risky. In fact, investing in Tunisian bonds or Hungarian equities, is indeed very dicey. But same uncertainty remains in case o investing in the bonds and the stocks in the domestic market. The investors have to realize that the basic interplay of the markets around the world is same. The main reason to invest overseas should be diversification. The main purpose is to broaden the area and to find the prospective investment option from all over the world. Studies have revealed that a well-diversified basket of international stocks can reduce the volatility involved in stock market investing. In this era of globalization, the line between domestic and foreign is becoming increasingly thinner. Revenues of many US companies come virtually from different places around the world. Any positive or negative development in the overseas markets can have serious implications on the performances of the US companies. So become a better investor, you need to be aware of the global developments. When you are investing in the share of an American company, your return depends on the movement in the stock prices. But, if you are investing in the stock of a foreign country, say China, your return then depends upon the movements in the stock price as well as upon the currency movement. So you have to pay attention to the fluctuation in renminbi vis-a-vis US dollar. International investing offers you the opportunity to diversify your portfolio so as to reduce the risks. But, you have to be well aware of the global developments that are taking place, which are related to your investment.